Granite Cloud, Powered by the Sun! 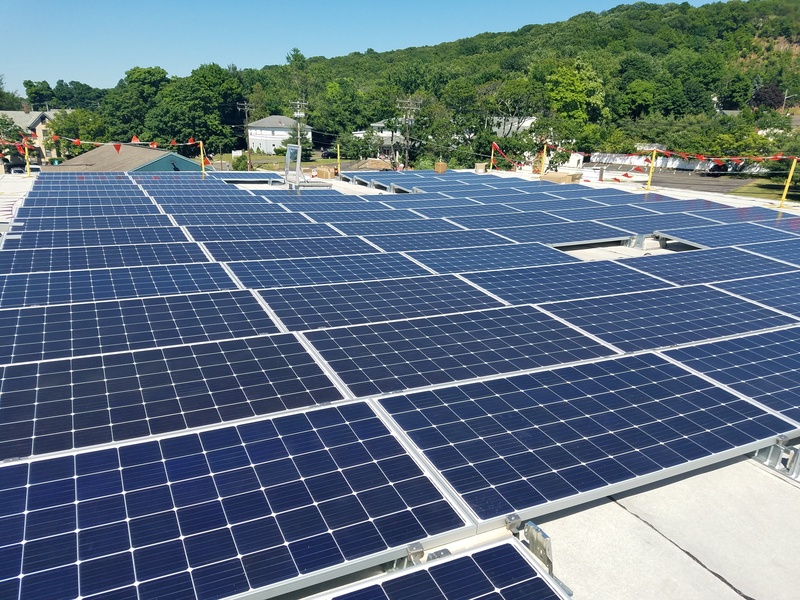 Granite Communications is going solar. This week Harvest Power installed 81 solar panels on our roof. Once connected, the 4 arrays will provide 100% of Granite's electrical power and 50% of the power for the other three tenants in our building. We worked with Lori Scala, solar consultant, to qualify and select the contractor. When Scott and I bought the building in 2011, we felt that the flat roof and lack of any nearby trees made going solar a natural fit. However, we soon learned that the process and procedure was daunting with specific requirements from the town building department, the utility and various state departments. Lori Scala and Harvest Power helped us navigate the process to get funding from CT Greenbank, and qualify the Zero Emissions Energy Credits that make the project viable. They also satisfied the town building department's requirements as well as worked with the utility to make sure the system meets electrical codes. The array will prevent almost 25,000 pounds of carbon per year from being released into the atmosphere. This is comparable to the mount of carbon 4 cars emit per year. Since 1996 Granite has been helping our customers compete and win with communications tools that enhance productivity, improve customer service, and lower costs.